De Nora’s Capital Controls ozone generators make use of a natural element, ozone, to ensure a safe and sustainable source of water. Italian water technology specialist, De Nora, recently announced the introduction of its CAPITAL CONTROLS ozone generators, designed to address increasingly complex water treatment issues and standards in Asia. The technology was showcased during Singapore International Water Week (SIWW) in early July as part of De Nora’s portfolio intended for the Asian market, offering alternative methods to treat water. De Nora’s Capital Controls ozone generators make use of a natural element, ozone, to ensure a safe and sustainable source of water. Ozone is a powerful oxidant and can be used for a variety of different applications including disinfection, removal of colour, micropollutants, biological oxygen demand (BOD), chemical oxygen demand (COD) and a host of emerging contaminants from water and wastewater. 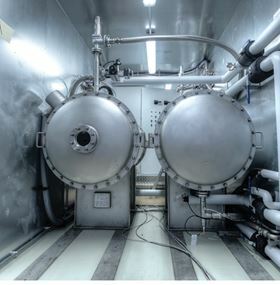 Ozone can be used in combination with existing disinfection infrastructure for difficult-to-treat applications, in advanced oxidation processes and sludge reduction. Generated on-site, ozone does not pose risks associated with transportation of hazardous materials. This solution will therefore have a wide-reaching impact for treatment of municipal water, wastewater, and a host of other industrial industries, including food and beverage. In addition to the Capital Controls ozone generators, De Nora showcased key products at SIWW from its range of filtration and disinfection solutions for water and wastewater treatment, including brands such as DE NORA TETRA, ClorTec, and CECHLO.